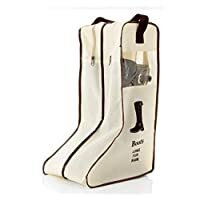 Boot bags are used for storing and protecting boots, keeping the boots cool, dry, and scuff-mark free. Wellington Boots are particularly prone to small scratches and are affected by sunlight as they are made of rubber - a natural product (from the Rubber Tree). It is important to keep your rubber boots clean and in the dark. Vulcanised rubber decays slowly when placed in UV light (sunlight). Generally, your boots will last longer if you keep them in a bag. Ensure they are dry and mud-free before putting the boots inside a wellie bag. It is absolutely essential that wellies and the welly boot bag are NOT left in the sun and are stored in a cool, dry, dark place - such as a cupboard or hallway storage unit. Condition: 100% Brand New. 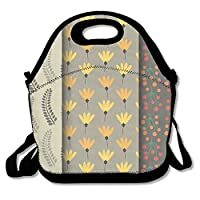 Size: 29*24*47cm / 11.4*9.4*18.5 inch (L*W*H). Fits For Girl And Boy. 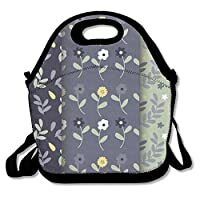 Watercolor Flowers Lunch Box Tote Bag. 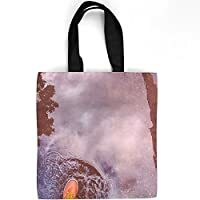 Autumn Fall Autumn Elements Fall Elements Cold Weather Season Year Leaves Fallen Leaf Mushroom Ripe Fruit Forest Golden Wood Ladybug Acorn Tree Rainy Rain Weather Wellies Wellington Boots Boots Rubber Boots Umbrella Scarf Pattern Seamless Pattern Seamless Background Leaf Lunch Box Tote Bag. Allow Machine Wash Or Hand Wash. Marginal Reinforced Grommet To Increase Durability. Washable,environmental Friendly Printing Without Bad Smelling,un-faded. Suitable for men, pregnant women, senior elder. Rubber inlay to provide maximum grip and no damage to your shoes. Easily remove all kinds of boots, shoes and wellingtons without bending.